I rarely make sterling bowls so this is my first sterling bowl in a long time. 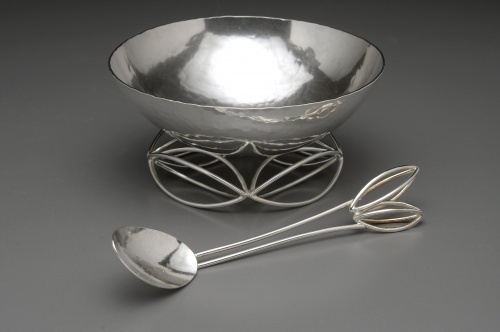 All sterling bowl with a base of 4 pods soldered together. Comes with a matching demi spoon.